Anyone who has invested some of their precious time to hang out with me after the polite ‘nice to meet you’ (thanks for that, you’re cool!) 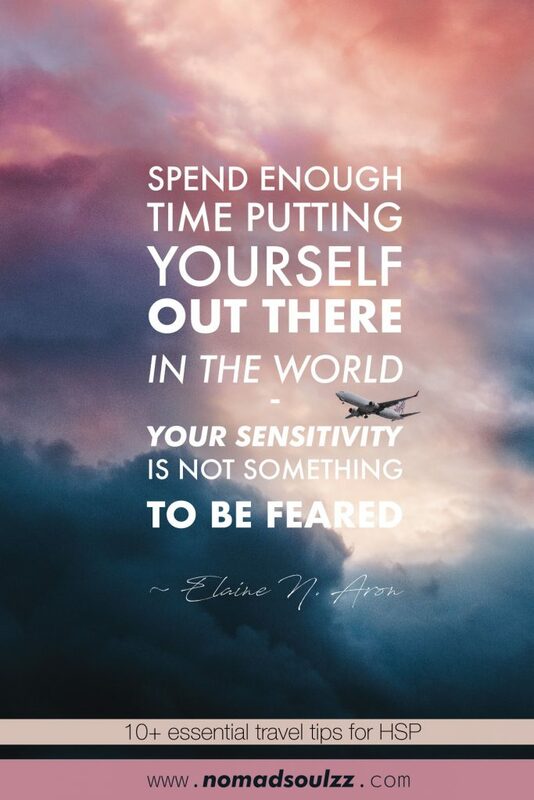 is probably someone who has noticed my sensitivity. How noticed? Well, it’s kinda’ just who I am. If I can deal with it, so can you so no worries! With all the roles that I take upon myself in my performing career; the layer of my sensitive-self always sticks. On and off stage. This post is just a crumb of a much tastier apple pie. 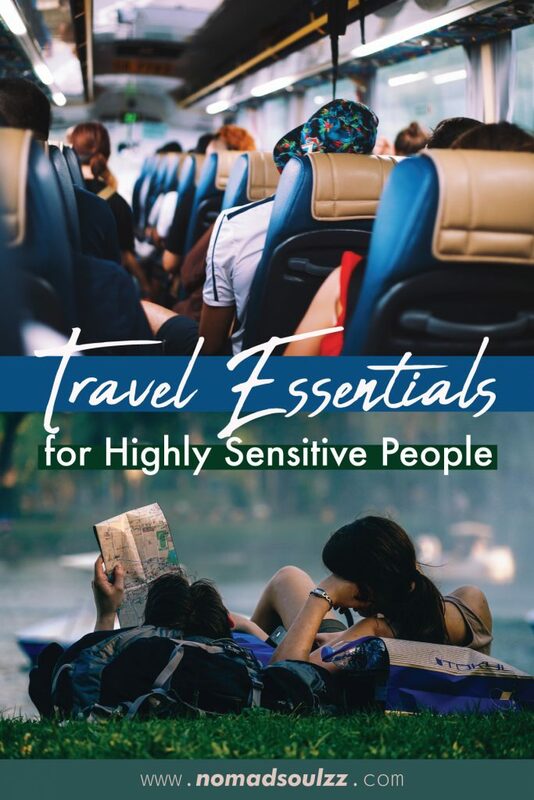 Check out my extensive Fundamental Guide To Traveling The World As A Highly Sensitive Person to really understand the backbone of these tips. 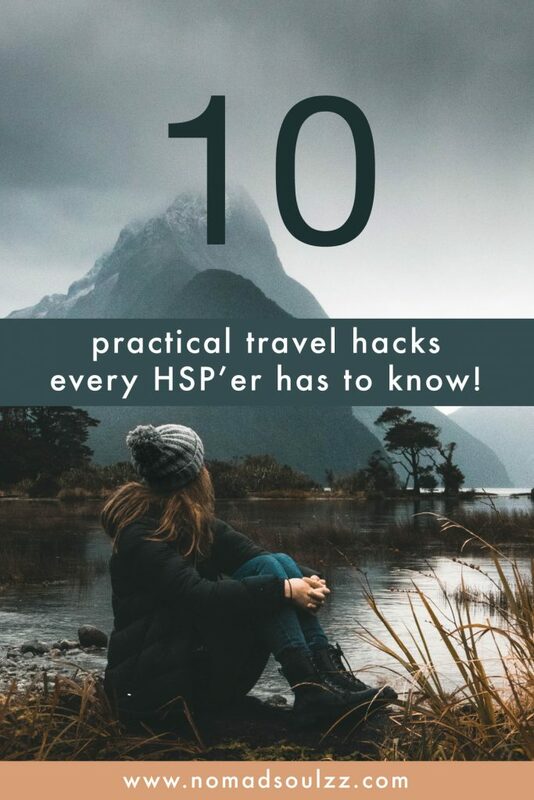 With some self-investment towards creating a higher-awareness of your HSP, you’ll be able to wrap up your own hacks. And those will always be better because you know yourself better than I would ever possibly be able to. 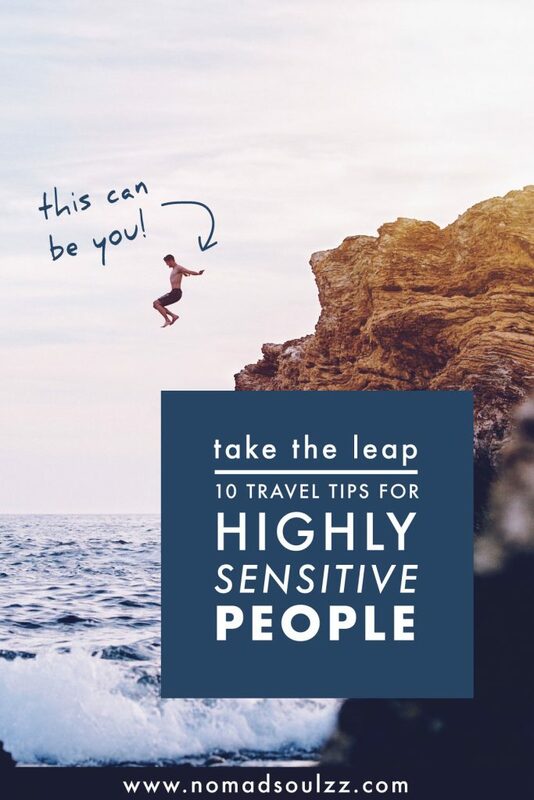 Here I’m just going to go crazy with all kinds of suggestions that can encourage any HSP’er to book that flight and embrace the wanderlust within. As you’ll see many of the tips are based on controlling amplifiers and avoiding/weakening the triggers. Are you craving for more insight into these terms, I’ve got your back. Have a comfortable pair of sunglasses, eye-shades for sleeping, (sound-cancelling) headphones or earplugs to be able to close yourself off. These are my number one go-to items to close myself off. These headphones (Bose’s super smooth sound-cancelling over-ear headphones) have been hands-down the best investment I’ve made towards my HSP-self. I’ve come out of train trips crying and smiling, and these headphones were the difference. Not only the quality of the sound is magnificent, the sound-cancelling feature is an absolute dealbreaker. Even though Bose’s headphones are foldable and come in a sturdy case my second favourite travel-earphones are dr.dre’s wired in-ear earphones. 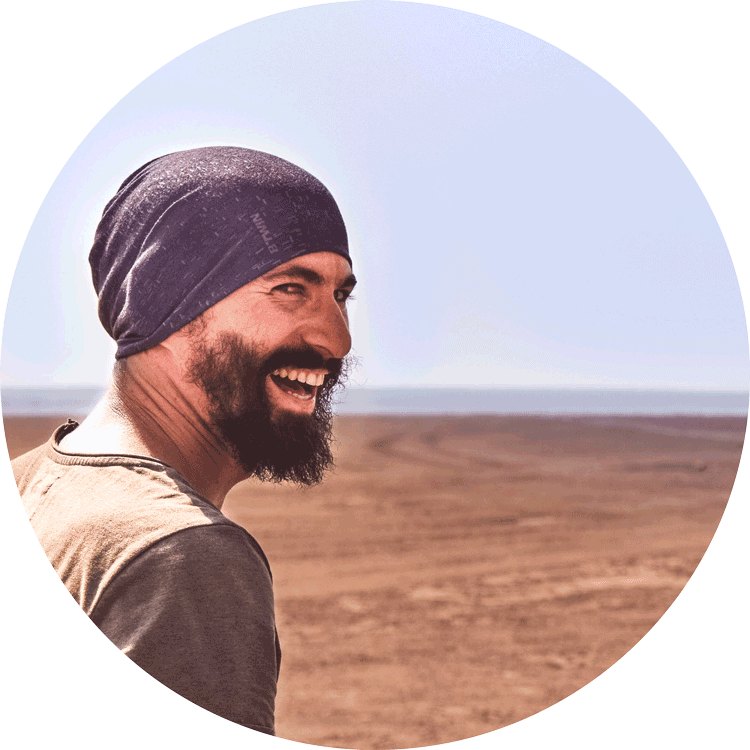 They are ideal if you are travelling light (smaller and lighter than any travel-sized toothpaste flacon) and off the grid (you don’t need to charge them for Bluetooth purposes because it wired). What I really like is that they provide multiple sizes ear tips so you can really utilize that seal that closes off outside sounds as much as possible. The quality is great, so you will be fine using them for hours on end, for years on end. If you get upset by unknown food, bring snacks along from home or something else that can cover an unwanted taste (like fruit or gum). If smells trigger you, pack a few small scent candles or incense for when you are in ‘own’ space, also your own perfume on hand can do wonders or something else that has a strong scent like Vapo-Rub. The sun is fun until it burns you and you are frying up on the in- and outside. I’ve had the most intense breakdown due to sunburns (and the best reiki, but that’s another story). An ounce of prevention is worth a pound of cure so therefor proper sunscreen and aloe-vera crème are always in my carry-on. I also always bring clothes/scarves that can cover me without over-heating me. Consider a neck-cooler or even a small fan to brace the heat. 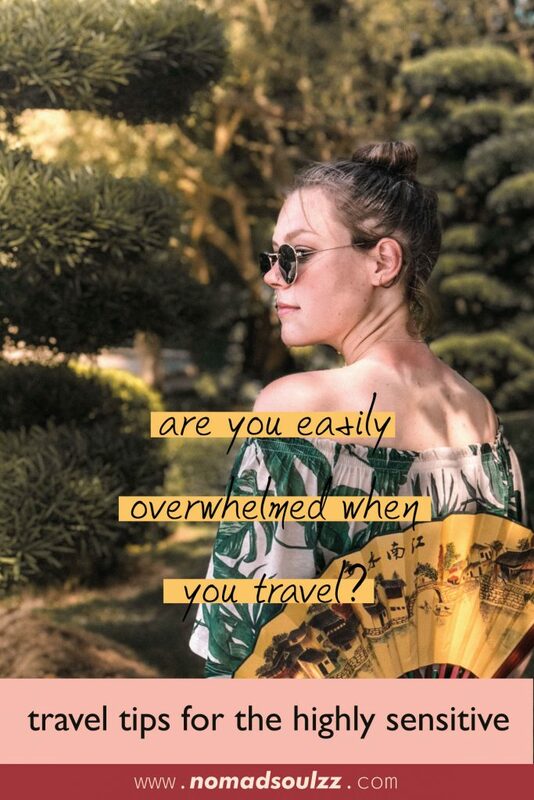 Be smart and don’t overexpose yourself to the rays by being outside (in super-hot countries) in either the middle of the day or for hours on end. Be kind to yourself. Oh, and last but not least, if the climate is actually too tropical for you to handle… get a room with an air conditioner or at least a proper fan! Dormitories are of course cheaper than private rooms but consider your needs. If you are a light sleeper and don’t feel comfortable with too many people around consider upgrading your rest-time to a private room or staying in a hotel rather than a hostel. You also often have the big (10 beds) and small (3/4 beds) dormitories, I like the smaller ones. Less chance of people walking in and out and it’s more likely the others also chose the smaller one because they want it to be more chilled and less busy. That being said, Airbnb has many options in many budget classes that provide a more homely feel to it. Furthermore, consider checking out the washroom facilities. Being able to start and end a day with a proper shower or bath can be just what you need to make yourself feel comfortable in the unknown. 4 Be ‘sensitivity-stress-smart’ when planning ahead. Personally, one of the most fun things about travelling for me is exploring the unknown and embracing the unexpected. However, when it comes to practical stuff… be smart and think ahead. To avoid crowds, I try not to travel during rush hours or opt for a taxi instead. To avoid ques, I check if I can buy a ticket online. Afraid to lose your passport or that it gets stolen? Make sure to have copies of your passport ‘just in case’ in other bags. Basically, be aware of what you are sensitive or anxious for and take the fitting measurements to lessen the stress. 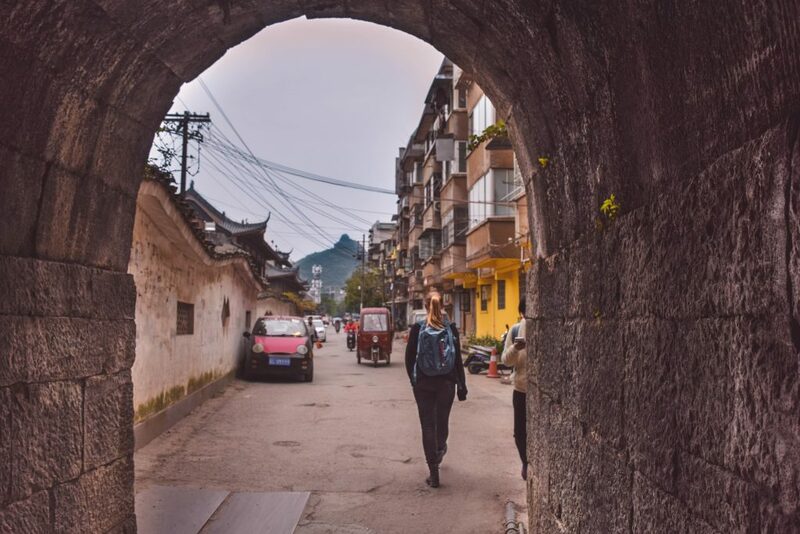 5 Travelling doesn’t mean being the traditional tourist. Uh, what? What I mean is that in order to ‘travel’ and wander amongst the beauty of the world you don’t need to do what all tourists do to experience the country/city. I rarely do any tours and if a tourist attraction is too busy I pass or come back later. Don’t feel as if you are forced to do anything, you are there because you want to be. Do it at your own pace and enjoy the ride on your special way. For this, I like to do what I call the ‘reverse-method’. If you have a gross idea of what your day is going to be like, think backwards about what you would need to make that day as comfortable as possible. Is it raining or it likely will rain? Bring along an umbrella or jacket. Hiking all day? Make sure to bring an extra pair of socks and a bottle of water. Remember, all sorts of HSP are different. 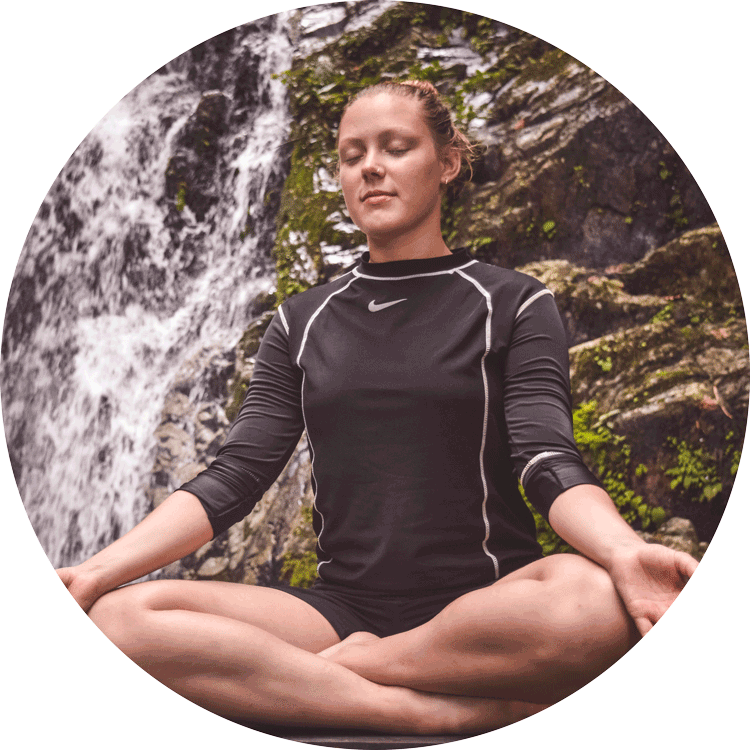 Find out what helps you stay grounded and calm in high-strung times and prepare yourself. 7 Who are you travelling with? Truth is, this can either make the trip a walk in the park or uncomfortably complicated. 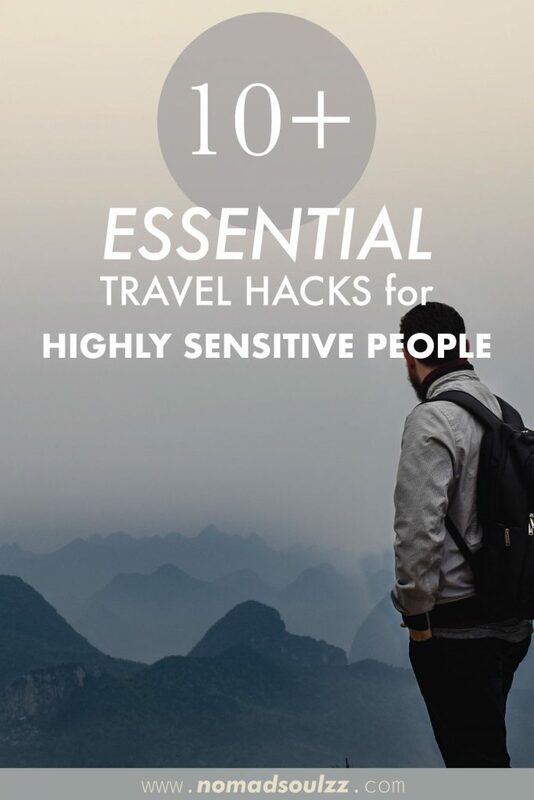 It’s important that the people you travel with understand your sensitivities and respect your needs. If you don’t want to go clubbing or do that extra tour but need (yes it can be a necessity for us HSP) some rest in the hostel/hotel than that shouldn’t be an issue. 8 Pack like a pro. If you are trekking from place to place chances are you’ll be packing and unpacking quite a lot. 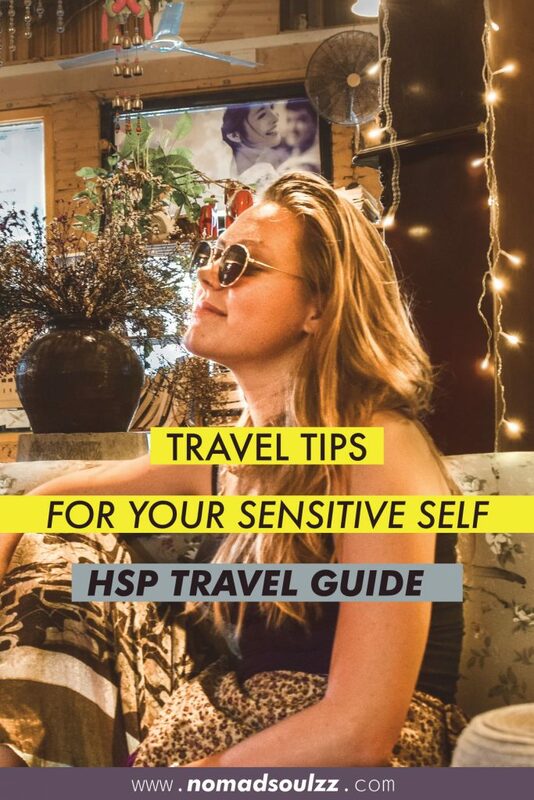 The experienced traveller knows how to do this fast and without experiencing too much discomfort (HSP or not). How? Stick to the essentials (as light as possible) + have a system. Routines are fantastic because you can count on them. Pack your bag the same way every time. Whenever in a rush you could – figuratively speaking – blindly take out your tweezers or charging cable. Less stress guaranteed in times of rush. 9 Money is just money. If spending a bit more (a couple of dollars/euros) will make life a whole lot more do-able. Do it! I.e. instead of walking 5 km with your bags in the blazing heat you take a tuk-tuk and enjoy the fresh breeze and bumpy road. 10 Choose your destination wisely. 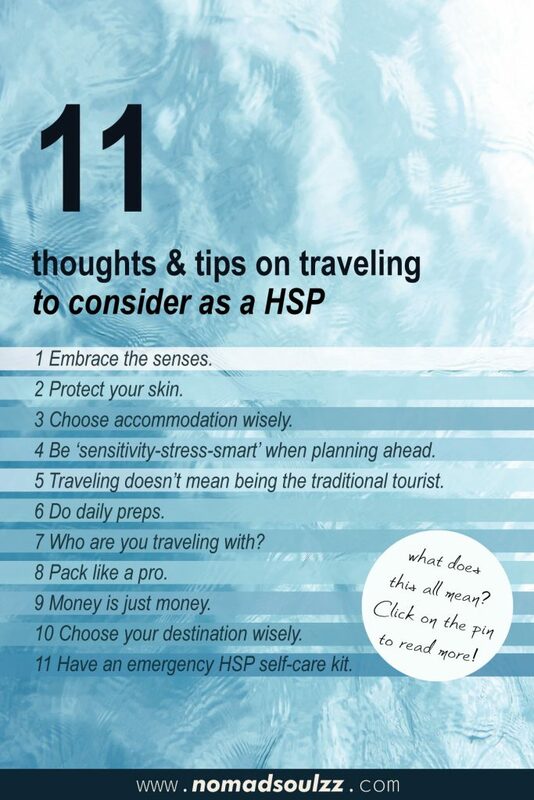 11 Have an emergency HSP self-care kit. Last, but not least. Depending on your degree of sensitivity and how well you’ve trained yourself to work with triggers there can always come a moment when you crash. And that’s ok, it might feel like the worst thing in the world but it’s really not. It can actually be of unmeasurable value and face you with new sides of yourself #personaldevelopmentwin. An emergency kit is a small bag/pouch of items that can be just what you need when you are feeling unsteady. What to put in a kit like this? Small personal items that can lighten your mood and give immediate support. It’s also so much fun to make and it’s an incredible gift to give! A small message I wrote to myself when I was feeling steady and alright with life, it acts as a small reminder that everything’s temporary and that I’m badass doing what I am doing. Slaying life, facing fears and doing what I love is what I deserve. (You can also ask your best friend, your mom, your partner to write a small note and only read it when you need to, it will touch you deeply and give you a burst of unexpected strength). Some small spiritual object. For example, a mala or crystal that I can hold in my palm that will calm me down in the highest tides. Fishermen friends (the really strong ones). A couple of painkillers if my head is exploding too much. Napkins and/or a washcloth. Napkins for the sweat/tears and the washcloth to spurge in cold water and lay in my neck (abso-freaking-wonderful). Oh and it’s quick-dry washcloth, soooo convenient. Are these tips useful? Do you have any to add the counter? Let me know! What might help you, might help someone else too! To finish off with some wise words from legendary Bob Marley: Some people feel the rain. Others just get wet.